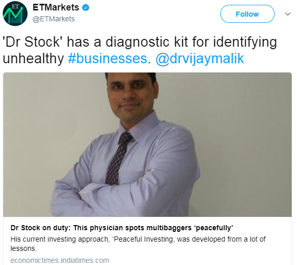 We have been regularly conducting “Peaceful Investing” workshops in India and abroad where we elaborate our fundamental bottom-up stock investing approach “Peaceful Investing” to the participants. 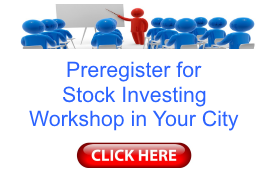 These workshops cover all the aspects of stock investing like how to shortlist and analyse stocks in detail, which stocks to buy, what price to pay, how many stocks to buy, how to monitor the stocks, when to sell a stock etc. “Peaceful Investing” workshops have received very good response from investors both from India and overseas. Until now, we have conducted the workshops in major Indian cities and Dubai. However, we have received pre-registrations/expressions of interest for the workshop from many other Indian as well as international locations. Due to lack of sufficient number of interested participants at many of these Indian and overseas locations, it is difficult for us to conduct “Peaceful Investing” workshop in many of these cities. 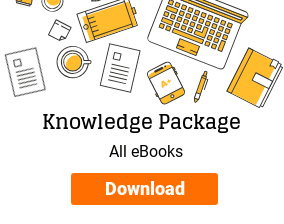 This service allows the investors across the world to watch the complete full day “Peaceful Investing” workshop online on their laptop/mobile phone at any time & place of their convenience, as many times as they can, during the period of subscription. This service also allows an opportunity to past participants of “Peaceful Investing” workshops to revisit the workshop and refresh the learning. The workshop covers a detailed analysis of various sources of information available to investors like annual reports, quarterly results, credit rating reports, online financial resources like Screener. Our stock analysis & selection approach has evolved over our stocks investing journey of more than 10 years while we had a full-time job at hand. We have faced all the major challenges, which are faced by retail/part-time investors. Therefore, “Peaceful Investing” approach focuses on addressing those hurdles acknowledging the primary challenge being scarcity of the time available with the investors. “Peaceful Investing” workshop makes investors confident about stock decisions to ensure that our faith would not shake with day-to-day market price fluctuations and we would be able to reap true benefits of stock markets to fulfill our dream of financial independence. The workshop helps an investor learn in-depth analysis of stocks that would help her make her own opinion about the strengths & weaknesses of any stock. 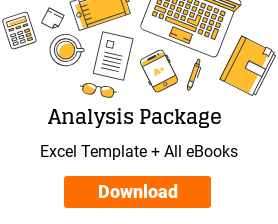 The participants would be able to use the stock analysis with their preferred stock selection approach like value investing or growth investing. The workshop covers basics of investing and simultaneously focuses on key concepts needed for stock analysis for both a beginner and seasoned stock investor. We believe that a person does not need to have an educational background in finance to be a good stock investor and the workshop is designed keeping this in mind. Purchase of Workshop-on-Demand subscription allows access to ONLINE viewing of the workshop videos during the period of subscription. Subscribers may watch the videos as many times as they can during the period of subscription. Once this premium service is availed, then there is no provision of any refund of the fee or the cancellation of the service during the period of subscription. Q. We understand that the “Peaceful Investing” Workshop-on-Demand subscription allows us the access to watch the videos of 9hr:30m of the complete full-day “Peaceful Investing” workshop, which you have recorded. In case, in future, you launch any advanced level thematic workshops other than “Peaceful Investing” workshop, then will the subscribers of current “Peaceful Investing” Workshop-on-Demand subscription get automatic access to the videos of those advanced level thematic workshops? Moreover, if you launch any other video lectures etc. in future, then will the subscribers of current “Peaceful Investing” Workshop-on-Demand subscription get automatic access to those videos as well? Ans. The current “Peaceful Investing” Workshop-on-Demand subscription is limited only to the videos of 9hr:30min of the complete full day “Peaceful Investing” workshop, which we have recorded. In case, we launch and record any advanced level thematic workshops in future or we launch any other video lecture service, then those videos will be separate premium services for the investors. The subscribers of current “Peaceful Investing” Workshop-on-Demand service will not get automatic access to those future videos. Interested investors may subscribe to those future video services separately. Q. Will the participants of past “Peaceful Investing” workshops conducted by you in different cities in India and abroad, get complimentary access to the videos of the “Peaceful Investing” Workshop-on-Demand service? 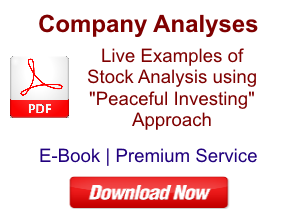 Moreover, will the participants of future “Peaceful Investing” workshops, which you will conduct in different cities in future, get complimentary access to the videos of the “Peaceful Investing” Workshop-on-Demand service? Ans. The physical “Peaceful Investing” workshops that we conduct in different cities and the videos of the “Peaceful Investing” Workshop-on-Demand are two separate premium services. 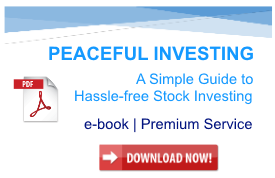 Attending a physical “Peaceful Investing” workshop does not lead to complimentary access to the videos of “Peaceful Investing” Workshop-on-Demand service. In case, any participant of past or future “Peaceful Investing” workshop wants to watch the videos of “Peaceful Investing” Workshop-on-Demand service to revise her learning, then she may separately subscribe to the videos to “Peaceful Investing” Workshop-on-Demand service.